Lauren Sansaricq (b. 1990) grew up in Columbia County, New York, where from an early age she was exposed to both the beauties of the Hudson Valley and, under the teaching of Thomas Locker, a traditional approach to landscape painting. Taking Mr. Locker’s advice Miss Sansaricq received academic training in drawing and painting at the Grand Central Academy of Art in NYC. 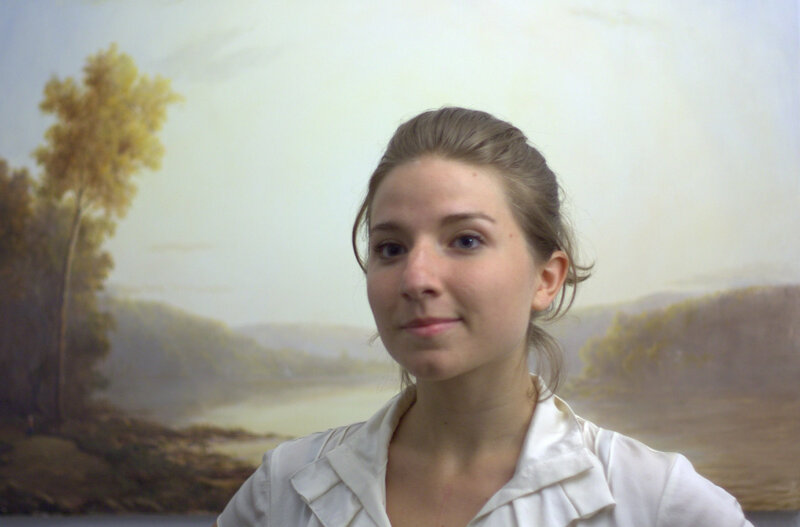 In 2011, at just 21 years old, she was taken under the representation of Hawthorne Fine Art, a prestigious New York gallery specializing in 19th century Hudson River School Painting. Miss Sansaricq was also honored with a solo show in New York at Hawthorne Fine Art that same year. Sansaricq’s work has been exhibited in Manhattan at historic venues like the Salmagundi Club, the National Arts Club and the Union League Club. In 2012 she had a solo show at Saint Anselm College, and had her work featured at the Boston International Fine Arts Show. One of Sansaricq’s paintings was also featured in the New York Times, surrounding the show she was apart of, “The Great Hudson River Exhibition”. Today Sansaricq’s artwork is in collections throughout the country, and is hung beside some of the best American painters of the past. She also teaches every summer on the Hudson River Fellowship and occasionally at Grand Central Atelier in NYC. Sansaricq now resides in the Catskill Mountains following in the footsteps of the great Hudson River School painters of the past. · “Catharine Lorillard Exhibition” at the National Arts Club, New York, NY, 2011.